Do you know just how influential the power of social media is today? From presidential politics to reviewing the latest in Star Wars headcanon, it seems there is a place for social media in all aspects of life. But what about for authors and writing? That answer exists and lies soundly within a platform called Goodreads. The Goodreads website and community is a goldmine for authors–if it’s used to its full potential. 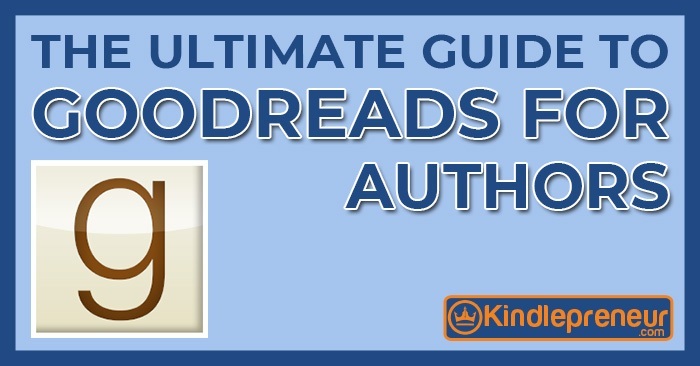 And in case you’re not totally familiar with all that Goodreads has to offer, we’ll cover everything authors need to know below. Fair Warning!!! While the idea of Goodreads is incredible and it can be a great platform, there are two warnings I want to address immediately – 1). Make sure you read the section on setting up correctly below before you do anything. Do this wrong and you could hurt your future reviews. 2). GoodReads is not for the faint of heart. In truth, and I fully don’t understand why, but the most belligerent troll level comments can come from Goodreads. Heck, sometimes they make Amazon reviews look professional and elite. So, keep these two things in mind. Goodreads is not just an ordinary social media platform. It doesn’t exist to share funny cat videos or those don’t-mess-with-me-because-I’m-whatever-zodiac-sign posts. But offers a fully encompassing system for authors to showcase, develop, and market their author brand and associated works. And it’s not just a platform. The Goodreads community are some of the most vocal and active out of any other social media platform on the internet. (Go figure. Give a bunch of authors a free public forum and watch what happens…). But remember my warning above, they can be pretty critical too – as many authors have found (why do we beat up on our own?). So let’s start at the basics of how to set up your account the right way. For those of you who have been around the internet a time or two, this may seem like a no-brainer. But before you create your Goodreads account…. STOP AND WATCH THIS VIDEO! Did you know that Goodreads is owned by Amazon? Now you may be wondering why this matters. And it does for a huge reason. If you link your Goodreads account to your Facebook, for example, Goodreads reviews left by your Facebook friends may not be usable on Amazon and the Kindle marketplace. So before you create your Goodreads account, watch this video to learn how to circumvent unnecessary hassle with your reviews. What if I’ve Already Setup My Account the Wrong Way? Yeah, I’m in the same bag as you. Whoops. In truth, they’re already connected. There’s no fix that I know of. So, understand that Amazon now knows who your social friends are and that may hurt the chances of your Amazon reviews sticking. Wouldn’t it just be disappointing if your readers made it all the way to your Goodreads page but it had nothing to offer them? It would be like waiting your whole life to watch Aaron Rodgers play (GO PACK GO! ), getting tickets up front on the 50 yard line, and watching him leave the field with a sprained knee in the first quarter. That’s exactly what it’s like for Goodreads. Goodreads is a community comprised of hungry authors and even hungrier readers. You, as an author, are just as important as your works. Plus, you want to give your fans a reason to stay and maybe even leave a good review. But before any of that can happen, you need to create an author page. When you join Goodreads, you will enter as a reader. So how do you get recognized as an author? How Do You Become a Goodreads Author? Is this you? Let us know. If not, help out and invite <Your Name> to Goodreads. This should be near the bottom of the page. From here, Goodreads processes your request. This may take up to 48 hours. After approval, you can then begin to network as an author and optimize your author page on Goodreads. Just like your Amazon author page, there are simple things you can do with your Goodreads account to stand out from the crowd and get more followers. If you need step-by-steps for any of these profile adjustments, check this out. One of the best tactics to employ is to consider your author page as an extension of your personal blog (or even as your blog if haven’t established one). 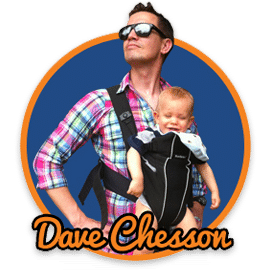 This can be great, especially if you have wanted to blog, but didn’t want to have to setup a complete website to do it. Your goal here is to engage with your audience. This is a social media platform…get social! Something that should be avoided is what I like to call “NASCARing”. *For anyone unaware of what NASCAR is, it’s a stock car racing organization. It’s perfect for those who love cars, loud noises, and turning left. In NASCAR, if you take a look at the vehicles, you will see more advertisements than the Sunday paper. Each car is loaded with stickers for laundry detergent or web domain providers or motor oil. It begs the question: Are we here to watch the race or watch ads fly by at 200+ miles per hour? Don’t do the same with your author page! Some advertising is ok, but when you NASCAR your page, authors and readers tend to steer away. Instead, add subtlety to your repertoire of skills. Be creative with your advertisements and fully take advantage of the many features Goodreads offers, as discussed below, to help your page become one of the best out there. I imagine that everyone reading this has some form of social media. At first glance, all social platforms are the same. You post a message. Someone likes it. Or they don’t. The message can be shared or not. Simple. However, social media platforms are more complex than that. And each different platform has its own unique features and abilities that sets them apart from the rest. Goodreads is no exception. Let’s explore some of its unique features now. Wait. That wasn’t her? But my Facebook newsfeed… Sigh. Despite a lot of misquoted memes floating around out there, one thing is certain. They’re still floating around out there. You see, quotes are one of those “in” things nowadays. To the point where everybody wants to quote someone or create their own. For those of us who aren’t necessarily motivated to come up with inspirational thoughts, we head to quote banks or sites. Yep. You read that correctly. Goodreads has its very own quote depository. This can be particularly useful when a quote is just the thing needed to fill the space between two points. Perhaps an even cooler part of the quote depot is the ability for you to add quotes. As a published author (self or traditional), you now have the right to be recognized as the developer of a quote. And because of such, you can add your very own personal quote to Goodreads! There is a stipulation of course. The quote must come directly from your book. Not your blog. Not your journal. Your book. Other than that though… just remember to place appropriate author and work tabs in the requested fields. Then boom! You’re officially a quoted author. If there’s one thing I have learned in my years of marketing it’s that people love lists. They’re everywhere. And wouldn’t it be helpful–especially for authors and readers– if lists for books were readily available? Goodreads has us covered with their Listopia feature! Listopia is an obvious play on words to “utopia” but… there’s really no better way to put it. Goodreads lists are more than just some fun, quirky ways to pass the time. They can be used as a highly effective marketing tool and way to get your book seen. Plus, I’ve seen many lists actually show up on google when you type in things like “Books like Ready Player One” or other “best” book genres. There are two key ways you can utilize Goodreads lists. You create your own lists for the Listopia. You add your book to other people’s lists. Now the first one is a great starter, but you can’t list your own book (if you’ve already marked it as your book). However, creating engaging lists that readers will enjoy and shows your level of authority on the subject, can help to build a following and more friends on Goodreads…so, a tertiary benefit that can play out later. Let’s say you wrote a new Steampunk novel called Steam King: A Cog’s Journey. You can attempt to bolster your book through association with others. For instance, you would head over to a list such as “Best Steampunk Novels” and place Steam King on it. Now, the key to understanding how this concept can work for you is understanding that these lists aren’t static. The lists work in a fashion similar to that of Reddit. You get upvotes and downvotes. If you have a good book, your fans will give you an upvote. Which will increase your score and potentially move you higher on the list. The more popular your book becomes, the higher it rises. In some genres, this becomes difficult due to the overwhelming number of books on these lists. But in more niche categories, lists can be a wonderful way to promote your book and get those sweet, sweet sales. Just be legit about this. Putting your romance into a weird western (yes, that’s a thing and actually quite fun) will only get you ridiculed by the author/reader community. So, be smart. Have you ever wished you could ask Stephen King about his “barrens” and the inspiration of? Or ask Dean Koontz why Odd Thomas is just so odd? Or maybe you just want to ask Kathy Reichs what it was like to be a forensic anthropologist? We all have questions we’d love to ask our favorite authors. But what happens when the tables are turned? What happens when you become the favorite author? Thankfully, Goodreads has a feature for that. There is a section on your author page where your readers can ask you questions. These questions can then be answered in kind. Answered questions then get posted to your fans and friends’ Goodreads pages. Another way to do an Author Q&A is to create a Featured Author Group. This allows your answer to be posted to both the Groups and Authors sections of Goodreads. The cool thing here is if your Q&A is relevant to Goodreads newsletter, they could feature you. And that’s some solid exposure. Who doesn’t like a good quiz or set of word games? They’re fun, interactive, sometimes a bit challenging, and they are available for creation on Goodreads. These quizzes aren’t just a great way to provide entertainment for your fans and readers. If done properly, quizzes can help you with your book’s exposure through association with your quiz tags. So, let’s just say you create a quiz on your steampunk novel. After composing your questions and answers, you need to assign tags to your quiz to help it get recognized. These tags are considered metadata, which are like the flies to the little web crawling spiders that return search results. By choosing the best tags for your quiz. But what about other steampunk novels or authors–like “20,000 Leagues Under the Sea”? Or “Jules Verne”? These are specific, yet commonly searched terms that can be relatable to your quiz. The trick is to find specific terms that have a low number of viable search results on platform such as Google or Bing. *These viable results consist of high traffic sites, major authority sites, etc. We’re not looking for a brief mention in a Facebook post or personal blog. “20000 Leagues Under the Sea quiz” returns only 12 viable search results. “Jules Verne quiz” returns 35 viable search results. Which would be the best tag choice for you? “20000 Leagues Under the Sea quiz” because your quiz would put you closer to the top of the search results. This means more exposure for your quiz and more exposure for you. We all know that polls give us data. They give us what people are thinking and their opinions on asked matters. But did you know that you could use polls to influence others to check out your book? With Goodreads polling possibilities, you can. There are two types of polls that you can create. A book poll where the answers are all books. Now, the first type of poll is great for you to get a sense of the community and what they are looking for in a book or some specifics about your genre. Armed with this information, you can apply it accordingly when creating your next masterpiece. The second poll is best used not as an information gathering tool, but more so as a sneakily-get-more-exposure tool. Let’s see how that works using our steampunk novel again. Which of these books truly embodies what it means to be a steampunk novel? So this kind of poll works two ways. If your book is popular and fully embodied your genre… Your book may rank high in the poll and encourage steampunk enthusiasts to read. 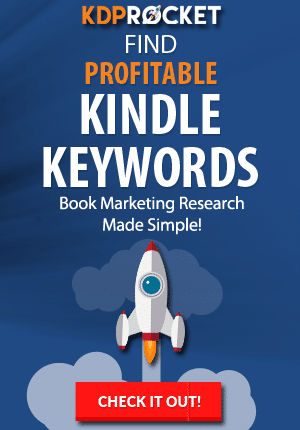 If your book is not popular, then people are inspired to click on the associated link for your book. Thus bringing more attention to your page and works. Trivia is also another avenue you can take to market your books. For those of you out of the loop, trivia is a big deal. Many a Tuesday night have been spent within the company of stale pitchers of domestic, 25 cent wings, and a team of know-it-alls for a weekly trivia bonanza. 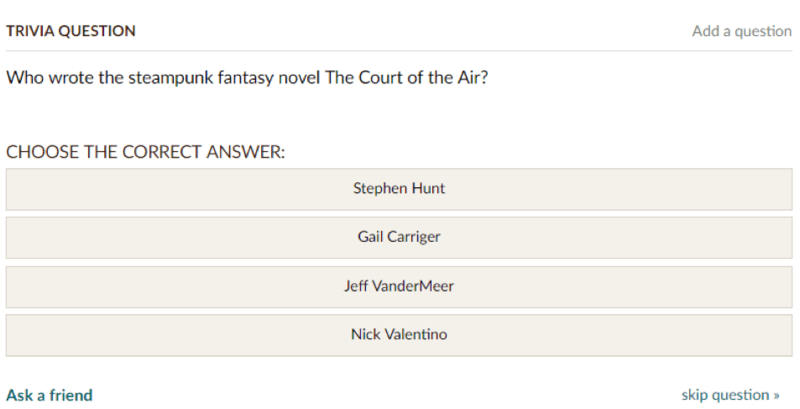 Trivia on Goodreads works on the same principles as the ones presented above for polls. Simply add your question to Goodreads infinite trivia question game and spread the awareness of your books. A Goodreads giveaway is where an author holds a competition pitting fans and readers in a not-so-deadly-competition for the chance of seizing the most coveted prize in all the land…a free copy of your book. At first glance, giveaways may seem a bit overwhelming and complicated. But in all reality, it’s not. That’s because Goodreads does all the hard work for you…for a price nowadays – price depends on how many books you’re doing and other factors, but it starts at $200. That’s it! They take care of the rest. You see, every time somebody enters into your giveaway, Goodreads automatically adds your book to their must-read collection. This is then posted as a notification on their newsfeed for their friends and the public to see. Free mass marketing at its finest. If you attract 500 people into your giveaway who each have 50 friends, how many people actually see your book? 500 x 50= 25,000 friends! 25,000 friends PLUS the original 500 in the giveaway = 25,500 people see your book on their screens. That’s just bonkers. And it only costs you shipping and handling of a giveaway book, or none at all if you’re giving away an ebook. Got a book signing soon? A meet and greet? Seminar? Creating an event on Goodreads may be exactly what you need to do. Communicate with your fanbase and the community about your upcoming event. This can be pretty simple if done properly. The only tricky part to this is sending to your Facebook friends. If you followed the video at the beginning of the article, your Facebook should not be linked to your Goodreads account. If you want your Facebook friends to get an invite, be sure to individually send them invites. Remember, if you just copy and paste to everyone on your Facebook friends list… You might get considered to be spam. That’s no bueno. Now, do you recall how I said we would get to eBook giveaways? Well, here we are! Whatever you do, do not put the words “free book” in the event title. That’s a rookie mistake, and you may be flagged. And you’re off to the races to a successful free ebook giveaway. Finally, there’s paid advertising opportunities on Goodreads like every other platform out there. Those familiar with social media are also probably familiar with paid advertisements (if not running them, then experiencing them for sure). Goodreads is no exception and also provides paid advertisements. These ads are a type known as PPC or Pay Per Click. That means every time somebody clicks on your ad, you are charged. This being said, you must first setup payment options prior to running your ad. And the process is slightly convoluted. So here’s a basic breakdown on how to set them up. Goodreads utilizes a targeted ad campaign. They allow you to choose your precise demographic. These options include age group, gender, and country. You can also choose to target specific genres. Obviously, choosing your genre is a no-brainer. But be sure to choose related genres as well. Like with our novel, Science Fiction would be a great choice as would Fantasy. Another potential target could be an author liked. These would be targeted to people to like whatever author you chose. Be sure to choose a relevant author. In our case, H.G. Wells or Stephen Hunt would be ideal. After creating your campaign, you must first fund it before it runs. This can be achieved through the use of a valid credit card. Here you can also set your spending limits, how long to run your campaign, and whether to automatically restart or not. NOTE: Goodreads does not accept PayPal. Now that funding is in place, make sure to head back and change your ad campaign URL redirect. 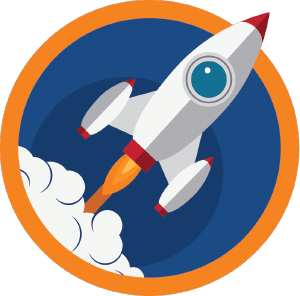 Instead of sending buyers to your Goodreads page, save them the extra time and redirect them straight to your Amazon purchase page. Is Goodreads Right for You? In today’s day and age, having social media is inevitable. But which is the right platform for you? As an author and a reader, Goodreads may be just the thing that you have been looking for. They provide author specific services that you won’t find anywhere else and provide you real-time exposure with a targeted market of readers. It may not be the easiest platform to use at first glance, but I’ll be darned if it isn’t one of the best for authors. So get started with your Goodreads author account and make sure you set it up the right way to give your books the best chance of success.